Luxury Suite 306 is our new corner suite that offers impressive views of Montpelier's downtown including seven church steeples. Enter into a Living Room with a large screen TV, pullout double couch, and granite serving bar, sink and refridgerator. A divided office area has a pullout twin couch, desk and its own Flatscreen TV/DVD. A separate King bedroom offers complete privacy from the other living space. Walk into a heated floor in our luxury bathroom with two designer bowl sinks and an oversized spa shower. 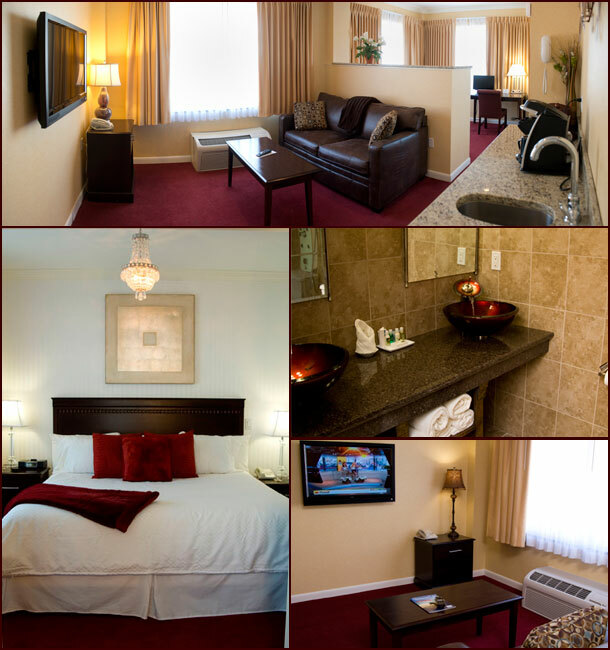 Room 308 can adjoin for an additional room rental that works well for two parties.